It can be nerve-racking and stressful to pulled over, searched, arrested and charged with a criminal drug offense in New Jersey. Whether being pressured by police to offer an admission or their threats to impound your car if you refuse to consent to search your vehicle, most drivers are left confused about what to do. If you were subject to one of these experiences, you are not alone. Contact the Burlington County Criminal Defense Lawyers at Proetta & Oliver and speak with an experienced criminal defense attorney. If you are facing charges for marijuana possession, heroin possession, theft, burglary, DUI, Leaving the Scene of an Accident, simple assault, disorderly conduct or any other criminal or traffic offense, contact our office at (609) 850-8284 and consult with an attorney today. Allow us to put our experience to work for you. How Do I Know if my Charges are a Felony in Pemberton? Municipal Courts have limited jurisdiction. This means that felony indictable offenses will be handled by the Burlington County Superior Court while misdemeanor (disorderly persons and petty disorderly persons offense), DWIs and traffic violations are handled by the Pemberton Municipal Court. If you were charged with a first degree, second degree, third degree or fourth degree indictable offense, then you are facing what people commonly referred to as a felony offense. These felony offenses will be referred to the Burlington County Prosecutor’s Office for review and possible prosecution. Depending on the facts of your case, our firm may be able to have your serious indictable felony offense remanded back to the Municipal Court as a misdemeanor. For more information on what our office can provide, please call (609) 850-8284. Judge: Honorable Krisden M. McCrink, .J.M.C. Court Administrator: Kristi Abbondanza, C.M.C.A. 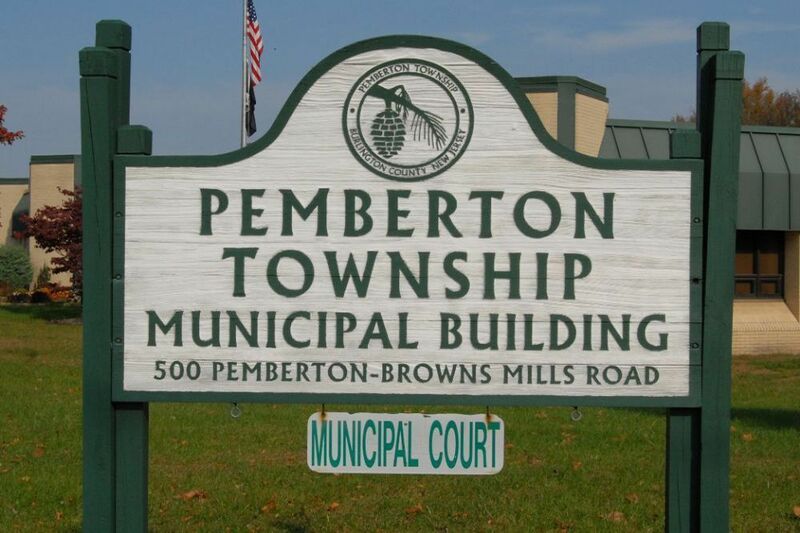 Surrounded by Pemberton Township, Pemberton Borough is a small municipality of roughly 1,500 residents that is less than 1 square mile. Irrespective of the town’s low population and small size, police officers have remained very active. In the last two years, police have filed over 3,500 traffic tickets and nearly 800 criminal charges. These types of criminal charges include indictable felony offenses like aggravated assault or heroin distribution, as well as misdemeanor disorderly persons offenses like simple assault and shoplifting. For more information on the borough of Pemberton please checkout their website. If you or a loved one were arrested for simple assault or aggravated assault based on a domestic argument or a public confrontation, it is imperative that you consult with a Burlington County Criminal Defense Lawyer. At the Law Offices of Proetta & Oliver, our team of criminal trial attorneys have spent their careers fighting criminal charges on behalf of clients throughout New Jersey. Our firm has the technical litigation skills and the interpersonal capabilities to advocate on your behalf at the Pemberton Municipal Court. In the unfortunate event the your charges are felony indictable offenses, we can represent you before the Burlington County Superior Court as well. For an immediate consultation with an attorney today, contact our Mount Laurel office at (609) 850-8284. Our firm is available 24/7 and the initial consultation is provided free of charge.